Blue, white and yellow plaid flannel pants. 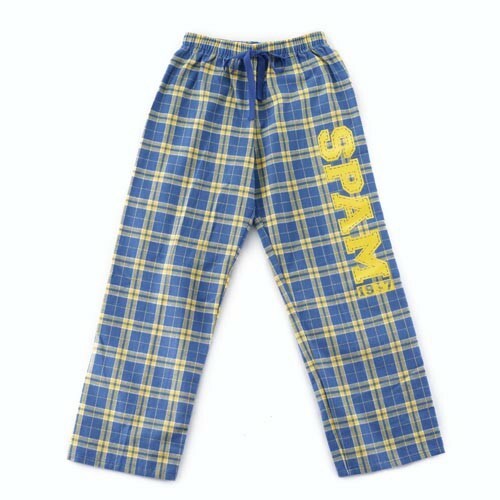 Drawstring waistband with SPAM® Brand soft and comfortable to lounge around in. Waist sizes: S=32", M=34", L=36", XL-38", XXL=40". 100% cotton.